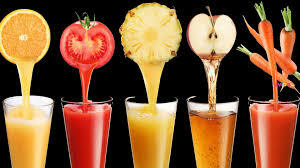 Fruit Juices - Al-Baraka Trading LTD.
We produces and pack more than 30 juice varieties under various brands. An amazing range of pure fruit juices, nectars and fruit drinks that fit all individual needs. What’s more, the company is always ready to discuss the production of special blends and flavors to satisfy the special needs of specific target markets. FRUIT JUICES Cyprus’ sunny and gentle climate favors citrus cultivation and the production of juicy fruit. Our fruit juices are extracted from selected top quality fruit varieties. They are 100% pure with no additives, made from concentrates naturally derived from the fruits. At present more than 15 fruit juices and nectars are sold under the Our brand. can produce the highest quality of orange, grapefruit and lemon concentrates. The company’s modern blending facilities can also process pineapple, apple and red grape concentrates… to name a few. All concentrates are homogenized and packed in stainless steel drums with double polyethylene inner bags, and stored at a temperature of -18C. We can undertake the processing, packing and exporting of fruit juices to any country under the client’s private label. We can adopt any special regulations, in terms of labeling and wording so that the final products can easily and lawfully penetrate any market. Our packages offer consumer convenience, easy opening, optimal shelf life and the ability to give your brand maximum exposure. They protect flavors, protect brands, and protect the environment. All our juices are packed either in Slim or SQ Prisma Tetra packs, equipped with modern and convenient Re-cap opening system or Stream Cap lids. ADJUSTABLE WORDING / DESCRIPTION In order to comply with the laws and regulations of certain countries, We have all the necessary equipment and know-how for printing ingredients and other wordings in many languages other than the ones pre-printed on the packs. Tetra-Pak’s aseptic technology and advanced packing procedures can keep our juices fresh and safe for at least one year. The goods can be shipped either palletized or loose as follows: 20 feet container: ñ 1470 cartons 1Lt x 12 palletized (17,640 retail packs) or ñ 1625 cartons 1Lt x 12 loose (19,500 retail packs) or ñ 2520 cartons 250ml x 27 either palletized or loose (68,040 retail packs) 40 feet container: ñ 1920 cartons 1Lt x 12 either palletized or loose (23,040 retail packs) or ñ 3216 cartons 250ml x 24 either palletized or loose (77,184 retail packs) or ñ A combination of 1Lt and 250ml packs is available in the same container.